The information presented on this page was originally released on August 26, 2016. It may not be outdated, but please search our site for more current information. If you plan to quote or reference this information in a publication, please check with the Extension specialist or author before proceeding. STARKVILLE, Miss. -- The same principle that cools down kids running through a lawn sprinkler on a hot summer day is being tested on chickens in Mississippi State University’s commercial poultry houses.  Tom Tabler, Extension poultry specialist with the MSU Extension Service, said keeping chickens cool in the summer is a life-or-death matter. Mississippi summer temperatures often exceed 90 degrees with humidity above 80 percent. “Chickens also give off heat, and with 20,000 chickens growing in a commercial poultry house, temperatures quickly rise to deadly levels unless managed,” he said. Sprinklers spaced about 20 feet apart have been installed in two lines down the ceiling of MSU’s two commercial poultry houses. The sprinklers spray water droplets in a 20-foot circle for 20 seconds at a time. Timers control the interval between water sprays, and fans blow through the houses to cool and dry the dampened birds. “It’s the same principle as if it’s the middle of August and hot, but you feel good if there’s a breeze and you just jumped out of the creek,” Tabler said. 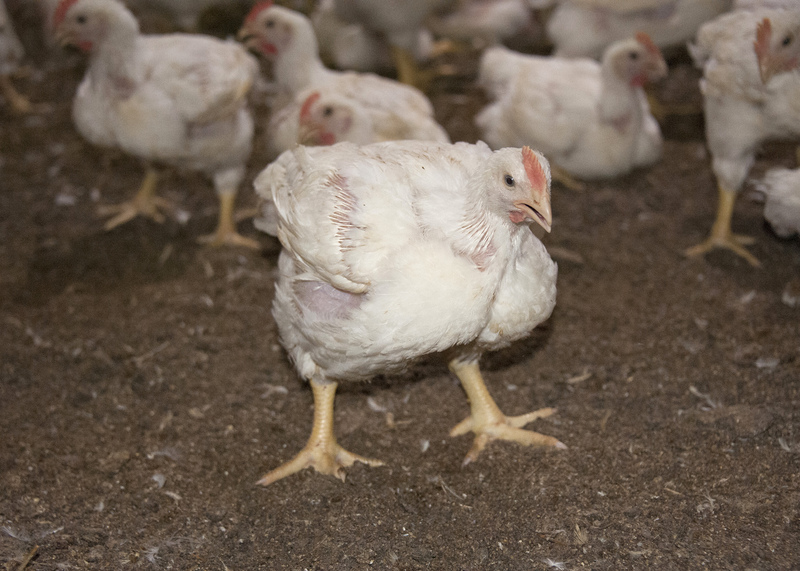 Commercial poultry houses in Mississippi and much of the Southeast currently use cool pads in the walls in conjunction with tunnel fans to manage temperatures inside the houses. Water trickles through cool pads, cooling the air pulled through by fans. A sprinkler system uses 200 to 250 gallons of water a day. The challenge has been to find a way to keep the chickens alive using less water. MSU is testing whether sprinkler systems are part of the answer. “Sprinklers let you run the house at a higher temperature than those with cool cells because the humidity is lower,” Tabler said. “It’s not heat alone that kills chickens; it’s the combination of heat and humidity. You base the interval between spraying on how hot it is outside and how big the chickens are. You don’t want them to be dry too long, because they will get too hot. In a commercial poultry house that uses cool cells, humidity is at 85 percent or higher, but temperatures are about 82 to 84 degrees. In a house with a sprinkler system, temperatures may reach 88 to 90 degrees, but humidity is only about 50 percent. The sprinkler system releases a defined amount of large water droplets -- not a mist -- in a very short period of time. In the interval, fans pull air across the chickens, cooling them as they dry, while also drying the litter on the ground. “You decide how often the system will sprinkle based on outside temperature and the age and size of the chickens,” Tabler said. When the water first hits the birds, they get up and move around, releasing the heat in the mini environment they create sitting on the ground. Tabler said it does not take the birds long to learn the sprinkle’s interval and stand up and spread their wings in anticipation of the spray. Tabler said cooling poultry houses with sprinklers is a radical change from current poultry management styles. 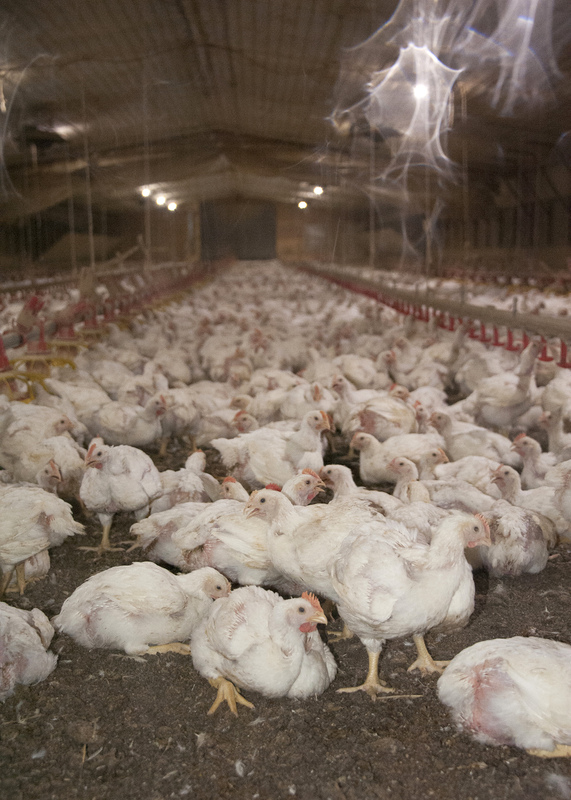 Early tests of the system indicate sprinklers will work in Mississippi’s commercial poultry houses when used in conjunction with the existing cool cells. “Mississippi is hotter and more humid than the other states that are using this system, but even when both sprinklers and cool cells are used, the poultry house uses about half the water than it would using cool cells alone,” Tabler said. Jonathan Moon, assistant director of poultry operations in the MSU Department of Poultry Science, said the system of using sprinklers is very different from traditional practices. 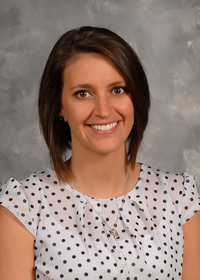 Adoption of the practice will be an uphill battle. Despite how crazy the practice sounds, results have been good since sprinklers were installed in 2015 in poultry houses at the MSU H.H. Leveck Animal Research Center. In August, researchers were raising their third flock of chickens using sprinklers for cooling.